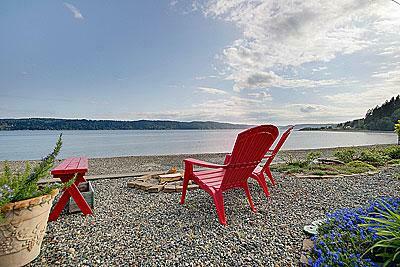 Hood Canal Waterfront Home For Sale~7681 North Shore Rd~Summertime Fun! Spring is here and with it brings many explorers, tourists, part time residents and more to the shores of the Hood Canal and Puget Sound. Some already own waterfront homes and are coming to enjoy the many amenities that the Hood Canal and Puget Sound bring to the table - oysters, clams from the beaches; water fun - kayaking, water-skiing, fishing - so much to do and enjoy! And here's your chance to own a gorgeous waterfront home on the North Shore of Hood Canal and enjoy all the bounty at a great price!!! I love spending time at this Hood Canal waterfront home and love showing this home along the North Shore of Hood Canal! Meticulously maintained, even on a dreary day, this home will brighten your spirits and soothe the soul! 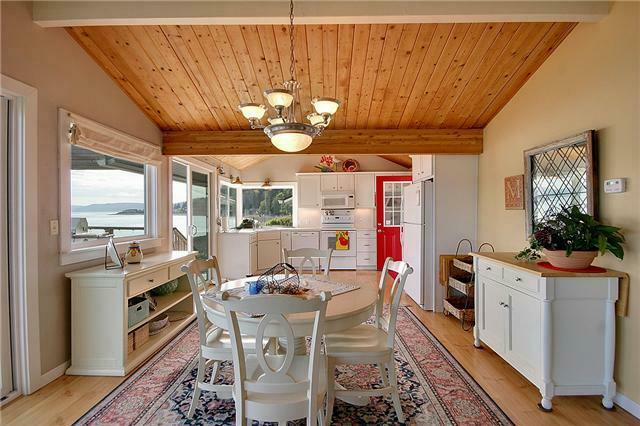 Approximately one hundred feet of bulk-headed Hood Canal waterfront, it is a pleasure to lounge along the shores of this home. So relaxing and peaceful, you can feel the stress of the day melt away or awaken to a glorious sunrise and serenity. Spit shined and ready to go, I love walking through the door to the open concept and the magnificent view! And to know that the pristine beach at your feet is yours! Okay I am jealous of this one! Tile counters, hardwood floors, vaulted tongue and groove ceilings, and a complete remodel show off the light and bright finished project that screams with ambiance of a seaside home! Step out onto the over-sized deck with plenty of room for entertaining or wander over to the fire-pit and lounge area taking in the ever-changing marine scenery. Separate guest quarters offer privacy for all with its own large bedroom, sliding door to the Hood Canal waterfront gravel patio and a half bath for convenience. Be careful your guests may never want to leave! An added bonus- acreage across the street that goes with the home! Lots of room for extra parking with an area already cleared and ready to go or the perfect spot to wander further and travel the trail on up to a quiet spot along the stream. A total of 2.78 acres comes with the package! Ohhhhh you have got to see this place! It is awesome and you will fall in love with it at first sight! 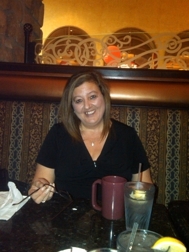 Check it out at www.valspaulding.mywindermere.com! Located approximately 8 miles from the center of town, its convenience to areas beyond, town, schools, shopping and other amenities makes this a favorable location as well.